Sensory bins are a great way to introduce young children (and even the older ones) to new sensory stimuli. With lots of textures, colors and even smells, they offer a lot in terms of stimulating the senses and encouraging fine and gross motor skills. Plus, they’re heaps of fun to play with! 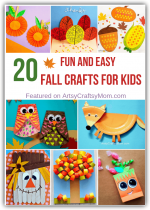 This season, why not try some fall sensory bin ideas to help the kids to learn more about autumn? Bring in seasonal items like apples, golden gems, sunflowers, nuts, rice, hay, oatmeal and leaves – the options are endless for a fall sensory bin! Here are 12 fascinating fall sensory bin ideas for your kids to have fun with, either by themselves or with Mom and Dad too! Kids will love searching for miniature birds or insects in this version of fall themed sensory bin using garden bird seed as filler, and finding them one by one. Hop onto the House of Burke blog for the full DIY to make this fun project. This isn’t your usual comforting soup for autumn! 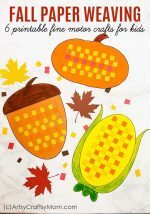 This Fall leaves soup from And Next Comes L is both simple and fun with lots of leaves floating around – a fall themed sensory bin doesn’t get easier than this! Sometimes it’s the simple ideas that create the most fun. Check out this colorful and interesting fall sensory bin from Happy Hooligans, that’s been put together using easily available items like leaves, pumpkins, pine cones, gems and more! Let’s add some critters to our sensory bins for more small world play! This Hedgehog Hibernation Exploration Basket from The Imagination Tree is perfect for little ones to play with and learn about autumn, hedgehogs and animal hibernation at the same time. Who doesn’t like getting their hands all messy with slippery, slimy goop? Add a science element to your sensory play this season with a fun Fall Slime Recipe from Little Bins for Little Hands. Red Leaf Yellow Leaf is a delightful little book for young kids about fall. 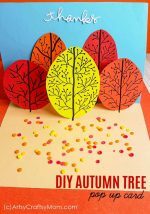 Turn the book into a project with a Red Leaf, Yellow Leaf Sensory Bin from Stir the Wonder that is bound to keep the kids asking for more fall themed books! 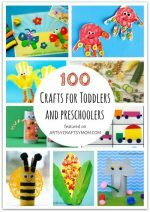 Got a toddler at home? 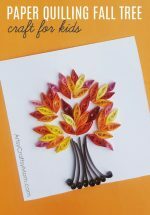 Then you’ll love this fine motor fall sensory bin from Jenny Evolution stuffed with a lot of fall themed elements and a pair of sturdy tongs. Let your little one have fun practicing his coordination skills by picking and placing stuff with the tongs. If you don’t want liquids in your sensory bin but would still like some thing to scoop and pour, rice is your best bet. And when it’s colored as in this fall rice sensory bin from Simple Fun for Kids, it’s a lot more fun! The cookie cutters add a nice touch – do include them! Still think the rice is too messy for you? Then go with something brighter and lighter – colored pom poms! Pick ones in green, red, orange and brown to stick to the fall theme, like in this pom pom sensory bin from Teaching 2 and 3 Year Olds. 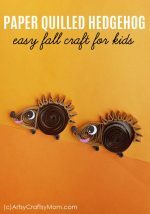 You can think outside the bin when it comes to kids’ projects, so why not try some fall sensory jars? These jars from Kids Play Box are fun to play and really pretty too – perfect to reuse as mantelpiece decor when you’re done playing! This Apple Sensory Bin from I Heart Crafty Things is a great way to include some more crafting into your sensory bin. Make some apple trees with cardboard tubes and foam sheets, and then add some apples and buckets to harvest them! One of the most striking things about fall is all the beautiful colors around us. Bring those colors out in this colors of fall sensory bin for preschoolers, featured at Life Over C’s. Those lovely colors will act as a soothing agent for your jumpy preschooler! We’re in the prime of fall, so pick out a different sensory bin every time your little one needs some quiet time play to calm his senses. Stock up on different kinds of fall themed objects like pumpkins, apples, leaves and the like, so you’re always ready whenever the urge to make a sensory bin strikes you!